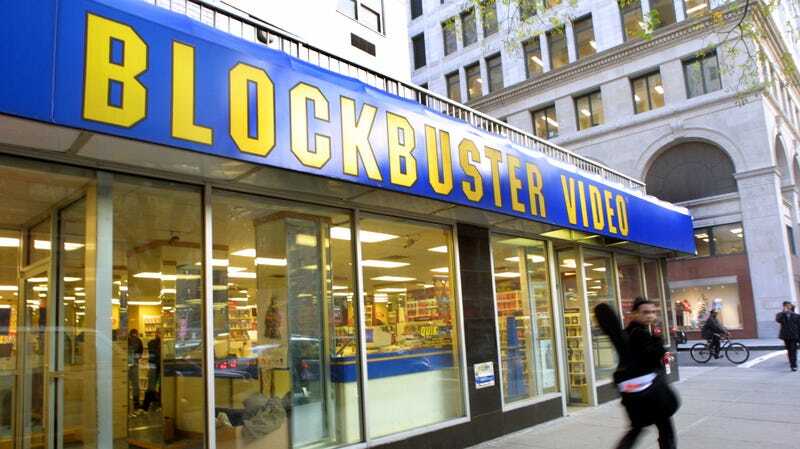 Blockbuster nostalgia is at a fever pitch these days for some reason, with John Oliver trying (and failing) to save the final Alaskan location with Russell Crowe’s jockstrap, a YouTuber visiting a location in Indiana and realizing that video stores “are still pretty cool,” and now some filmmakers on Kickstarter are trying to fund a documentary about the Blockbuster in Bend, Oregon, which is now the final location still in operation in the United States. The film will focus on how the Bend Blockbuster manages to survive while literally all others have failed and how the once-mighty Blockbuster empire got the point where only one location was left. The team, which includes Pick It Up! Ska In The 90s director Taylor Morden and Hollywood studio veteran Zeke Kamm, is looking to raise $20,000 to finish The Last Blockbuster. They’ve already spent nine months interviewing the owner, the manager, the employees, and the customers of the Bend Blockbuster, and now they want to conduct interviews with people outside of Oregon who have the “most interesting, most hilarious, and most insightful Blockbuster stories.” They’re also apparently looking to do interviews with people who “starred in, or made, the films you rented from Blockbuster”—which is vague but could be exciting! Backers can get Blockbuster employee T-shirts, VHS copies of the film, and an even a real Blockbuster membership card (which, sadly, you can only use if you happen to be in Bend, Oregon). One of the highest tiers will even get you a chance to work a shift at the store, which seems more like doing somebody a favor than a cool reward, but maybe there’s a former Blockbuster employee out there with an interest in reliving their glory days and $2,500 to burn. Where's the Hollywood Video nostalgia?